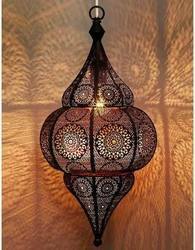 Fine Decorative Mango Lamp Available In Different Designs & Sizes. This is a hanging t light made of crystal with a colourful glass with wax inside. It look fantastic when lit up. Our company has achieved laurels in offering Hanging Light to the clients. This product is suitable to be fixed at houses and many more places for providing better brightness. Fancy Hanging Light is manufactured with utmost precision by qualified experts by utilizing pristine grade raw material and cutting-edge technology. We are one of the leading manufacturers of a wide range of Hanging T Light Holders. These beautifully designed holders come in many innovative designs, sizes and shapes to meet the varied needs of our clients. Our clients can avail these at competitive prices. Lamp shades, Hanging lights, cieling lights, wall lights, etc. We offer a variety of hangings in different styles and patterns to clients. These hangings are a perfect blend of ethnic as well as modern look. They perfectly match with any type of interiors to provide an amazing look to the place. 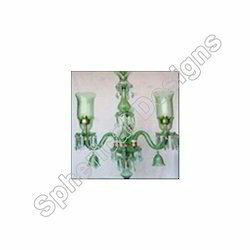 We use wrought iron, glass and such other materials in the manufacturing of these products.